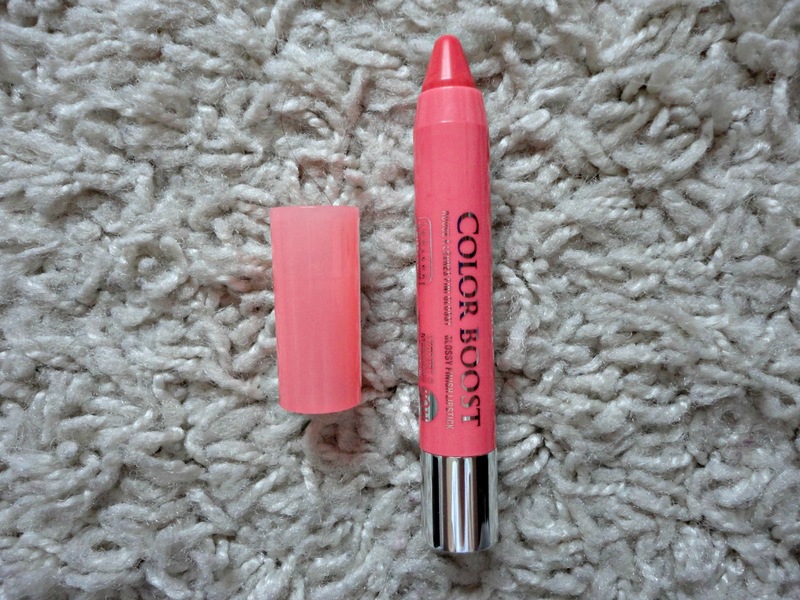 Bourjois were late to jump onto the lip crayon wagon, but their Color Boost crayons were definitely worth the wait. I bought the shade 'Peach on the Beach' as I think it's the most wearable shade of the 4 on offer and this definitely seems to be the most popular in the beauty blogging community. The shade range isn't great, with only 4 colours to choose from - Red Sunshine (a juicy red with orange hints), Fuchsia Libre (as the name suggests, a fuchsia pink), Orange Punch (a bright orange) and finally Peach on the Beach (coral-peach shade). However, the formula is just amazing. Much more creamy and moisturising than the Revlon Balm Stains and they leave such a gorgeous glossy finish. The finish is semi sheer, so if you're looking for a more opaque shade, these probably aren't for you. But for day to day, a pop of colour is all I want anyway. 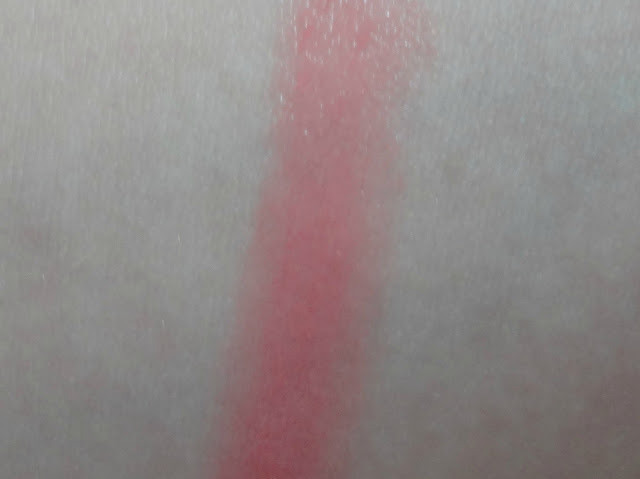 As you can see from the swatch, Peach on the Beach is the most gorgeous summery coral shade which will definitely be coming on holiday with me as I think it'll look even better with a tan! 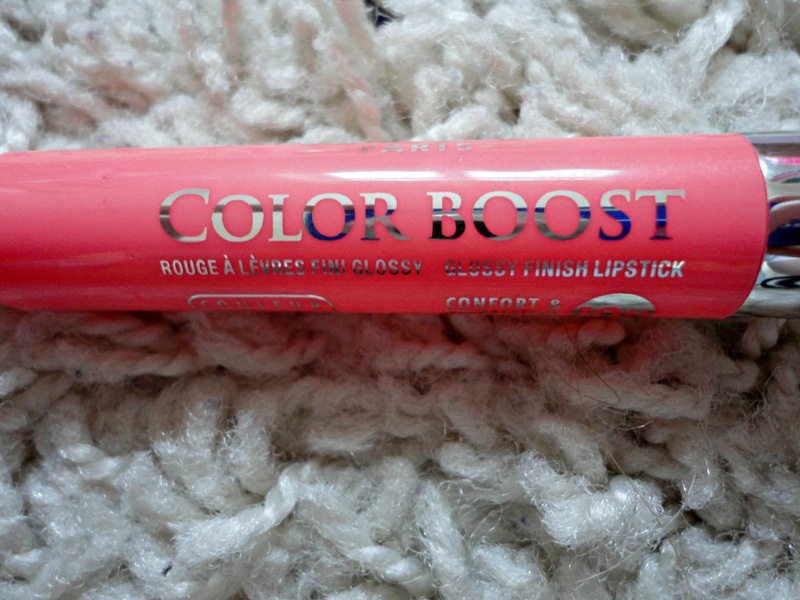 The lasting power definitely isn't the 10 hours that Bourjois promise, but the colour lasts until you next eat or drink, which is pretty good for a drugstore product. Overall, I've been so impressed with this - I just hope they increase the shade range! The formula is amazing, but the colour range is quite bad, but as you said the best one of the range is this and for summer is perfect. beautiful color *_* your blog, is very lovely and interesting. im glad if you visit my blog, too < keep in touch! I love these lip crayons! Peach on the beach is my favourite too.